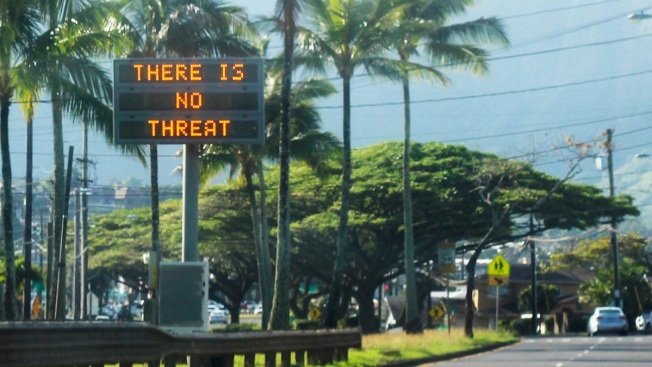 This Jan. 13, 2018, file photo provided by Jhune Liwanag shows a highway median sign broadcasting a message of "There is no threat" in Kaneohe, Hawaii. Hawaii emergency management officials knew for years that an employee had problems performing his job. Then, he sent a false alert warning of an imminent missile attack earlier this month. The worker had mistakenly believed drills for tsunami and fire warnings were actual events, and colleagues were not comfortable working with him, the state said Tuesday. His supervisors counseled him but kept him for a decade in a position that had to be renewed each year. The problems in the Hawaii Emergency Management Agency went beyond one troubled employee. The agency had a vague checklist for missile alerts, allowing workers to interpret the steps they should follow differently. Managers didn't require a second person to sign off on alerts before they were sent, and the agency lacked any preparation on how to correct a false warning. Those details emerged Tuesday in federal and state reports investigating how the agency mistakenly blasted cellphones and broadcast stations Jan. 13 with a warning that led hundreds of thousands of people to believe they were about to die in a nuclear attack. It took nearly 40 minutes to retract it. 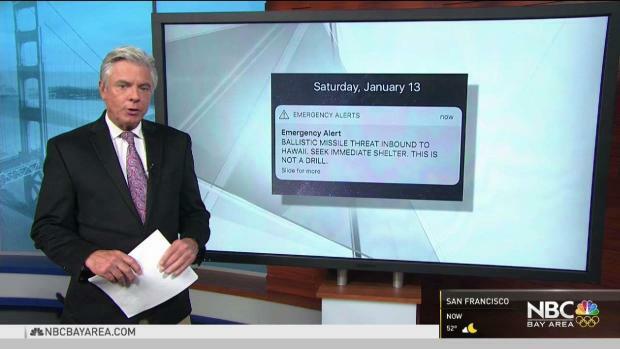 Bay Area residents return from Hawaii after receiving a false but frightening message of a ballistic missile threat on Saturday, Jan. 13, 2018. Marianne Favro reports. Hawaii Emergency Management Agency Administrator Vern Miyagi resigned as the reports were released. Officials revealed that the employee who sent the alert was fired Friday. His name has not been revealed. A second worker quit before disciplinary action was taken, and another was being suspended without pay, officials said. "The protocols were not in place. It was a sense of urgency to put it in place as soon as possible. But those protocols were not developed to the point they should have," retired Brig. Gen. Bruce Oliveira, who wrote the report on Hawaii's internal investigation, said at a news conference. A Federal Communications Commission report revealed Tuesday that the worker who pushed out the alert thought an actual attack was imminent. It was the first indication the alert was purposely sent, adding another level of confusion to the misstep that created panic at a time of fear over the threat of North Korean missiles. The worker believed there was a real attack because of a mistake in how the drill was initiated during a shift change, according to the FCC, which regulates the nation's airwaves and sets standards for such emergency alerts. The employee said he didn't hear the word "exercise" repeated six times, though others clearly heard it. There was no requirement to double-check with a colleague or get a supervisor's approval before sending the warning statewide, the federal agency said. 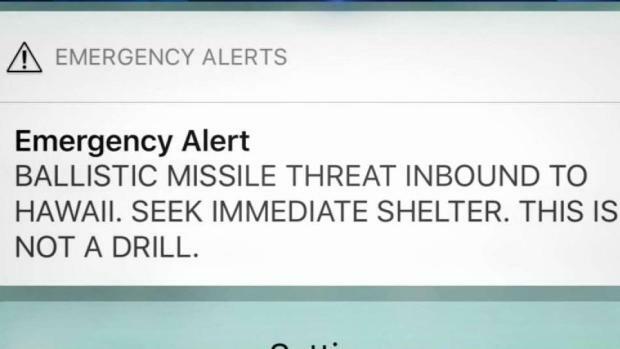 "There were no procedures in place to prevent a single person from mistakenly sending a missile alert" in Hawaii, said James Wiley, a cybersecurity and communications reliability staffer at the FCC. A single human error sent an entire state into panic and passengers from Hawaii arrived at LAX with their own terrifying story to tell. Rick Montanez reports for the NBC4 News at 6 on Saturday, Jan. 13, 2018. Compounding the issue was that the state Emergency Management Agency had no prepared message for a false alarm. The FCC criticized the state's 38-minute delay in correcting it. In addition, software at the Hawaii agency used the same prompts for both test and actual alerts, and it generally used prepared text that made it easy for a staffer to click through the alerting process without focusing enough on the text of the warning that would be sent. "The reports from the FCC and the state of Hawaii demonstrate systems and judgment failures on multiple levels, and they reinforce my belief that missile alerts should be handled by the federal government," said U.S. Sen. Brian Schatz, a Democrat from Hawaii, who plans legislation to give federal officials that sole responsibility. The FCC said the state emergency agency has taken steps to try to avoid a repeat of the false alert, requiring more supervision of drills and alert and test-alert transmissions. It has created a correction template for false alerts and has stopped ballistic missile defense drills for now. Earlier this month, the worker who sent the alert heard a recorded message that began by saying "exercise, exercise, exercise" — the script for a drill, the FCC said. Then the recording used language that is typically used for a real threat, not a drill: "This is not a drill." The recording ended by saying "exercise, exercise, exercise." Once the employee sent the false alert, he was directed to send a cancel message but instead "just sat there and didn't respond," the state report said. Later, another employee took over the computer and sent the correction because the worker "seemed confused." Gov. David Ige was asked why Hawaii didn't reveal details about the employee earlier, and he said it would have been irresponsible to release statements before the investigation was complete. Ige has asked the Hawaii National Guard's deputy commander to prepare another report on what needs to be changed in the emergency management system overall. The first version of that report is due in two weeks, with a final version due in six weeks. Associated Press Technology Writer Tali Arbel contributed to this report from New York.